The new Fiat 124 Spider and Alfa Giulia Quadrifoglio are the stars of the car show circuit this year. 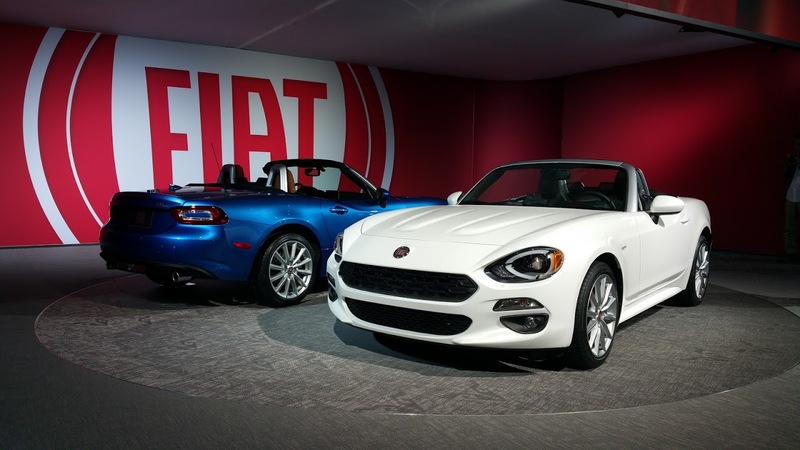 The two cars will be hitting showrooms later this year, but Fiat and Alfa fans can check them out now at various car shows around the country. Fiat Club of America Vice-President Thad Kirk shared with us some great shots of the 124 Spider and Giulia QV at the Philadelphia Auto Show. The show starts Saturday, January 30 and runs through Sunday, February 7, 2016. Don't miss it, and make sure you check out the Fiat Club of America website and Facebook page for info on joining the club and all their great events held by various chapters all across the country. The Fiat 500 may be small, but it packs a lot of capability within its lean frame. Take for instance driving in snow. Fiat has given the 500 a sophisticated traction control system. Throw a set of snow tires on when you're in the really deep stuff and you have a surprisingly good snow car. As Italy is a mountainous country, it should be no wonder! Watch these videos and you'll be a believer. 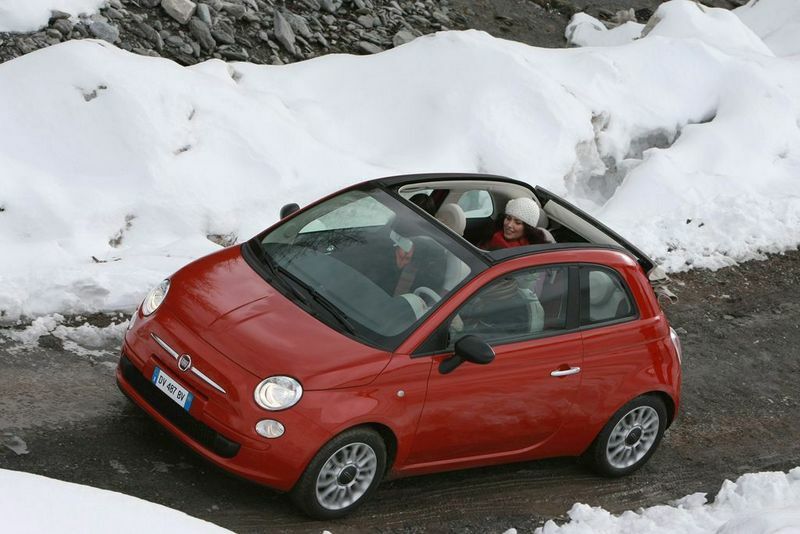 This Fiat 500 tackles a steep icy driveway with 7 inches of fresh snow. 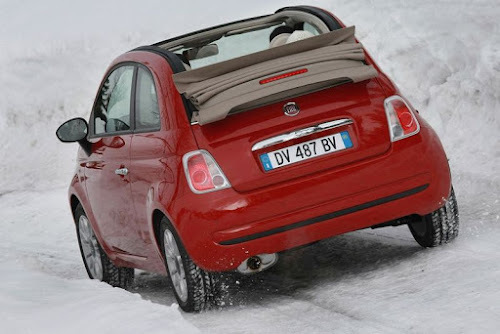 Here is a look at the technology that helps the Fiat 500 tackle slippery conditions and maintain its composure. The Fiat 500 combines its Antilock Brake System (ABS) with Electronic Stability Control (ESC) and All-Speed Traction Control (TCS) to help the driver maintain control. ABS prevents wheel lockup during braking, helping retain directional stability and steering control. Steering Angle Sensor - integrated into Steering Column Module. 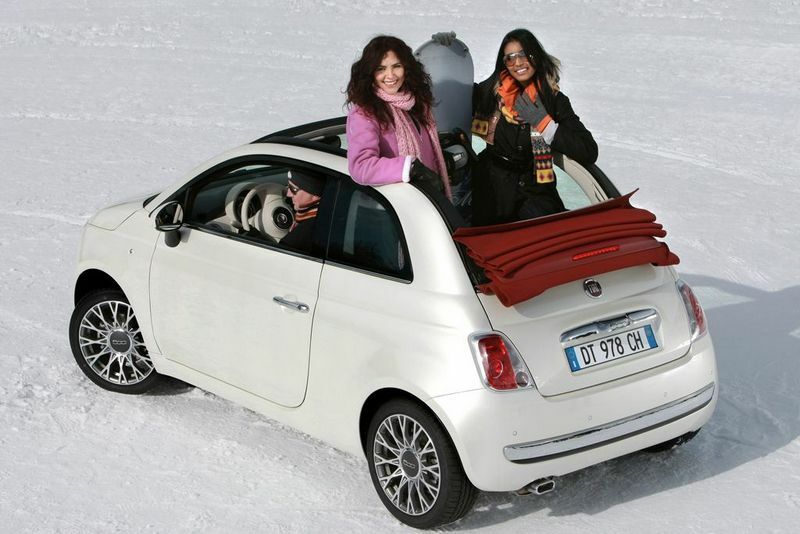 Good demonstration of the Fiat 500's Electronic Stability Control System. The ABS operates at vehicle speeds above 5–8 km/h (3–5 mph). During braking, if wheel locking is detected by Wheel Speed Sensors (WSS), the hydraulic pressure in the four wheel circuits is modulated to prevent wheel skidding. Each wheel circuit has their own electric solenoids to maximize braking, but to ensure vehicle stability, both rear wheel solenoids receive the same brake pressure as the wheel with the highest slip. 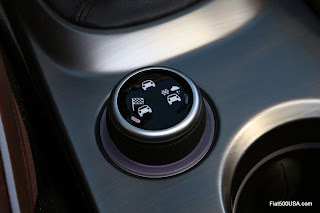 The system switches off when the car slows to a speed of 5–6 km/h (3–4 mph), which may allow the wheel to lock up, and is normal and can help when on snow or gravel. An interesting fact it that although the ABS prevents complete wheel lockup, some wheel slip is desired in order to achieve the best braking performance. Wheel slip is allowed to reach up to 25–30 percent, and may result in the typical tire chirping noise heard during ABS operation. This should not be thought of as wheel lock up, and can be seen on the road surface as light patch markings and not the dark black markings made by a skidding tire. 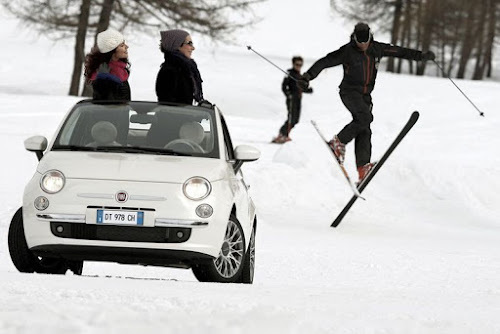 The Fiat 500's Electronic Stability Control (ESC) helps maintain directional stability under all condition, including snow, ice or gravel. If there is a discernible difference between driver input through the steering wheel and the Fiat 500’s path, ESC applies selective braking and throttle input to guide the vehicle back on to the driver’s intended path within the limits of available traction. Electronic Stability Control (ESC) includes Hydraulic Brake Assist, Traction Control, Electronic Roll Mitigation, and Brake Lock Differentials. Dynamics (ESC) Sensor - under the center console, near the center of gravity of the car for efficient sensing. Steering Angle Sensor (SAS) - located in the steering column. Electronic Stability Control (ESC) has two modes in Fiat 500 models. Abarth models have an additional OFF mode. This is the normal operating mode for ESC and is on when the vehicle is started. This mode is used for most driving situations and should only be turned to Partial Off for the reasons listed below. This mode is intended to be used if the vehicle is in deep snow, sand or gravel conditions and more wheel spin than ESC would normally allow is required to gain traction. In Partial Off mode, Traction Control is deactivated, and ESC doesn't intervene as quickly as in the Full-On mode. Traction Control System (TCS) prevents wheel slip when accelerating on slippery surfaces and works up to 85 mph (137 km/h). The system uses signals from the ABS wheel speed sensors to determine when to apply the brakes to one or more wheels and when to reduce engine torque output to prevent wheel slip during acceleration. Because TCS can precisely control engine torque as well as applying the brakes, it is possible to achieve a smooth torque application to the wheels which greatly enhances traction. The system is identified as “all-speed” traction control because by reducing engine power, braking effectiveness is maintained and the system can operate throughout the normal vehicle speed range. The traction control system may be turned off or on by depressing the ESC Off switch button. The Brake Lock Differential System (BLDS) is part of TCS and offers similar performance as a locking differential. If one wheel starts slipping, the ABS slows the spinning wheel. This automatically transfers more drive torque to the wheel with traction. The advantages of BLDS over a mechanical locking differential are faster and more progressively intervention and lighter weight. Hydraulic Brake Assist helps the driver overcome the tendency not to apply the brakes hard enough or quick enough to achieve the minimum stopping distance during a panic stop. In an emergency brake situation, the system applies maximum braking power, minimizing the stopping distance. Electronic roll mitigation (ERM) anticipates if vehicle at risk of entering a potential roll situation and applies brakes individually and modulates throttle position as needed to keep the car stable. 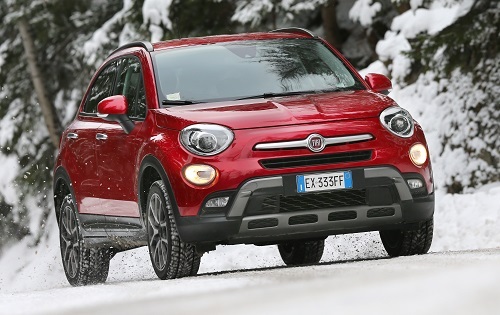 The Fiat 500X uses an advanced all-wheel drive system that guarantees excellent traction in all weather conditions. 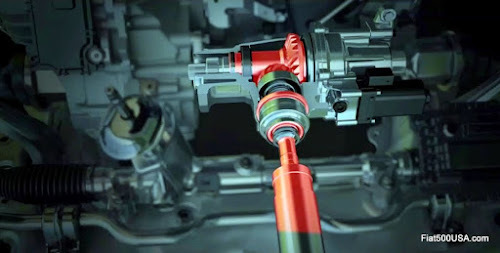 Heart of the system is a lightweight and compact front Power Transfer Unit (PTU) that selectively engages all wheel drive when needed and a fully disconnecting Rear Differential Unit (RDU). The end result is the 500X AWD system has all the efficiency of a front-wheel drive car while having all-wheel drive capability available within milliseconds. The EPA rates the 500X as getting 30 mpg on the highway, which I can confirm in my own car, achieving a high of 32.7 mpg during a vacation trip. This also helps the 500X drive like a European grand touring car, and not a clunky, truck-like SUV. That means safe and predictable handling, excellent high-speed stability, and great steering turn in for a nimble feel on mountain roads. Superior straight line acceleration, and cornering on all surfaces. Better traction and handling under adverse conditions. Improved hill climbing ability and safer driving. Here is a look at how the 500X AWD system achieves these benefits and its various components. The All-Wheel-Drive 500X has a compact Power Transfer Unit (PTU) attached to the right side of the transmission. The PTU engages and disengages the propeller shaft via a dog-clutch system controlled by the Drivetrain Control Module (DTCM) and operated by an actuator that is bolted to the PTU. Compared to a conventional PTU, the 500X PTU is a monoblock housing that fully integrates the propeller shaft's constant velocity joint making it extremely compact. This design also yields superior noise and comfort characteristics, benefiting the overall refinement of the vehicle. The DTCM uses information received from sensors including engine load, vehicle speed, gear selection and drive mode selected to determine when to engage the propeller shaft. The system is very intelligent and even takes in account driving style, outside temperature, and even wiper operation when making its calculations. Dynamic factors including wheel slip; detection of understeer/oversteer; steering angle rate; and acceleration/deceleration rates. Based on these inputs and others, the system is capable of anticipating and then delivering, within 300 milliseconds or less, infinitely variable amounts of torque combinations between the front and rear driven wheels. Up to 2000 Nm of engine torque can be sent to the rear of the car when conditions demand. Watch this Fiat 500X tackle this graphic test of its AWD system. Then compare it to the two cars below. The split propeller shaft runs front to back and carries the power from the PTU to the Rear Differential Unit. When the Drive Selector is set to Auto Mode, the PTU always keeps the propeller shaft engaged when starting from a standstill or speeds close to 0 km/h (0 mph). The propeller shaft disengages when the car exceeds a set speed; the engine load is not too high and the road conditions are ideal. When traveling over irregular surfaces that can affect the safety and stability of the car. When the car speed returns close to 0 km/h (0 mph). The propeller shaft is always engaged when the Drive Selector is set to "Traction" or "Sport" mode. The Fiat 500X Rear Differential Unit (RDU) contains an electronically controlled multi-disc wet clutch that can vary the torque transmitted to the rear wheels based on patented algorithms programmed into the Drivetrain Control Module (DTCM). 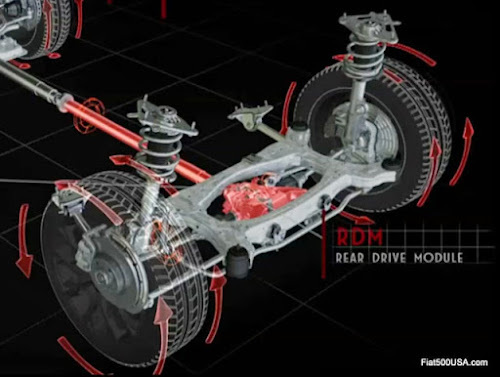 When AWD is not needed, the axle disconnects and the rear wheels can free-wheel. While some other AWD systems can disconnect drive to the rear axle, the Fiat 500X system can disconnect it fully*** allowing the wheels to effectively free-wheel, and the propeller shaft and gears in the rear differential not to turn. All in all, the 500X's disconnect system can improve fuel economy by up to 4 percent compared to permanent AWD systems. 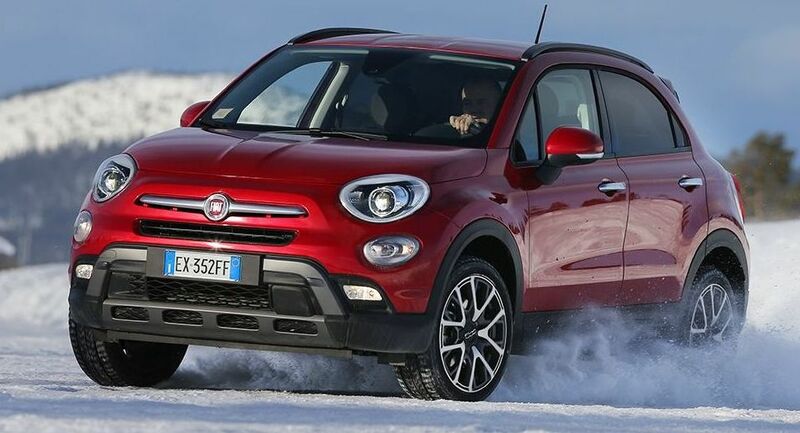 The Fiat 500X uses its braking system to enhance its AWD capabilities. For example, the Brake-Lock Differential System (BLDS) offers similar performance as a locking differential. If one wheel starts slipping, the Anti-lock Brake System (ABS) slows the spinning wheel. This automatically transfers more drive torque to the wheel with traction. The advantages of BLDS over a mechanical locking differential are faster intervention and lighter weight. The Brake Traction-Control System (BTCS) helps to keep driving wheels from spinning during acceleration from a stop or during slow speeds by applying individual brakes to the slipping wheel(s). This sends more drive torque to the wheels with traction and results in better and safer performance. Electronic Stability Control (ESC) enhances driver control and helps maintain directional stability under all conditions including turns, and when driving on snow, ice or gravel. If there is a discernible difference between driver input through the steering wheel and the vehicle’s path, ESC applies selective braking and throttle input to guide the vehicle back onto the driver’s intended path. The Fiat 500X Drive Mode Selector allows drivers to select 3 different drive modes that tailor how the vehicle drives and responds according to their needs and road and traffic conditions. The drive mode selector alters engine and steering response, transmission and AWD system characteristics, as well as the ESC system. To select a drive mode, the driver twists and holds the selector located on the center console to the appropriate setting for at least half a second and releases the knob. The mode selected is displayed on the instrument panel and the corresponding LED on the selector knob. This mode is the default setting and emphasizes comfort and safety in normal grip and driving conditions. On AWD versions, this mode also reduces fuel consumption, as it automatically disconnects the transmission from the rear wheels when road and driving conditions allow it. When AWD is called for, drive torque is automatically distributed between the front and rear axles. When starting from a standstill or speeds close to 0 km/h (0 mph) the propeller shaft is always engaged. This allows the system to activate all-wheel drive quickly if the front wheels lose traction. The system will engage all-wheel drive in the event of rapid acceleration from a stop in anticipation of wheel spin. When the vehicle speed exceeds a set threshold, the engine load is not too high, and the road conditions are ideal, the system will disengage the propeller shaft to save fuel. Rough road surfaces compromise the dynamics/safety of the car. When the car speed returns to close to 0 km/h (0 mph). This mode is used for increased safety in wet or slippery road surfaces in rain and snow. In vehicles with AWD, use is also recommended on unsurfaced roads or off-road. The propeller shaft is always engaged in Traction+ mode. The DTCM tells the rear differential unit's multi-disc clutch to transmit torque to the rear wheels with a control logic that favors off-road driving. To help keep wheels from spinning, throttle response is slowed down, and the transmission will start off in second gear. The transmission shifts are also more drawn out to keep shifting from upsetting stability. Sport mode highlights the sporting attributes of the 500X. Traction is optimized for sport driving and road holding throughout turns and straights. Sport mode keeps the propeller shaft always engaged. The DTCM controls the Rear Differential Unit's clutch to increase the torque reaching the rear wheels as quickly as possible. Using Sport mode sharpens throttle response and recalibrates transmission shift points so gears are held longer and downshifts are quicker. Steering assist is also reduced for better feel. Fiat and FCA US LLC and Paramount Pictures have collaborated on a new Fiat 500X advertising campaign cross promoting the upcoming Ben Stiller “Zoolander No. 2” movie. Derek Zoolander is an international fashion model that never misses an opportunity to strike a pose, and this he does in the Fiat 500X - over, and over again. 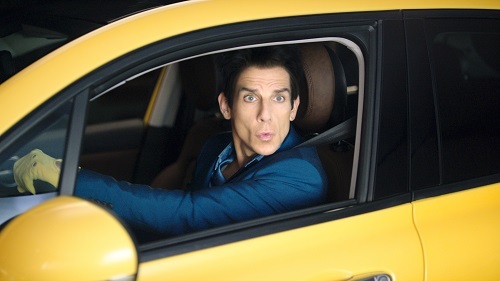 The Fiat 500X Zoolander Blue Steel commercial debuted during the Golden Globes telecast last night and a 30-second commercial will launch across television today, Monday, January 11. Look for Zoolander No. 2 to arrive in theaters February 12, 2016. 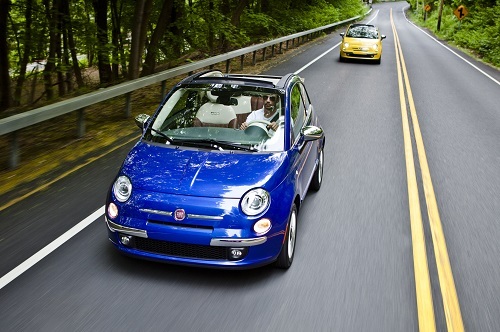 The figures are in for 2015 and Fiat 500 sales in North America reached a total of 52,675 units. Fiat recorded its best sales ever for the month of December, helping the brand end the year on a positive note. The Fiat brand sold 42,410 cars in the US during 2015, down 8 percent compared to 2014's record-setting pace, Fiat 500 sales in Mexico were up, with 4,753 cars sold compared to 4,627 the previous year. 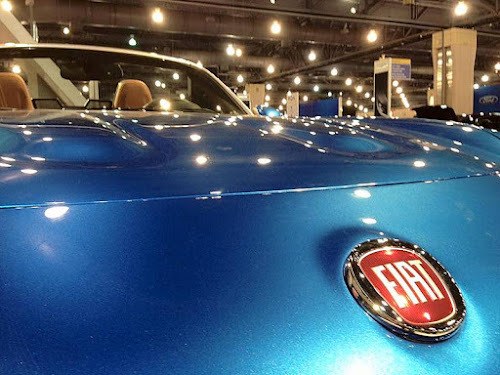 Canadian Fiat sales reached 5,512 down 31 percent from 2014's total of 8,027. 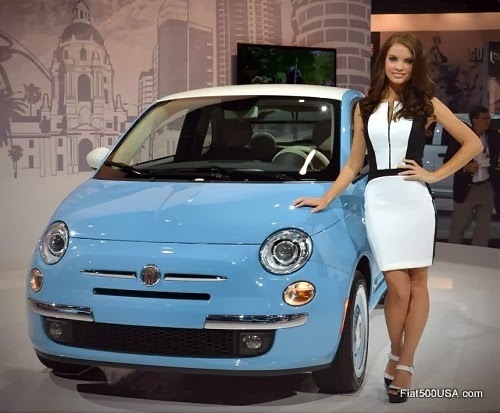 There were 2,955 Fiat 500s sold in Canada and 4,297 sold in Mexico during 2015. Fiat 500L sales in 2015 totaled 7,863, down 37 percent compared to 2014's figure of 12,413 cars. The roomy 500L MPV is the best-selling car in its class in Europe. However, it has seen its sales drop since the arrival of the 500X crossover in June. Fiat sold 1,948 500Ls in Canada last year. 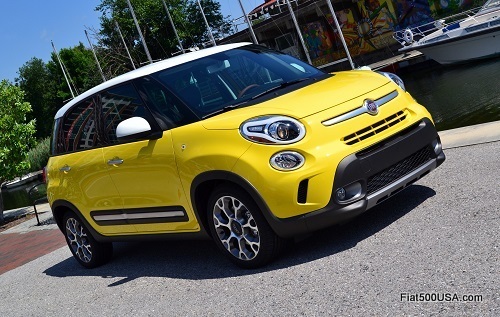 Mexico started selling the 500L during the first quarter of 2015 and recorded 377 sales. Total sales of the Fiat 500X for 2015 reached 9,463. The suave 500X brings its sophisticated European character to the growing crossover sales segment. Sales have ramped up during the year as Fiat continues to work on the availability of popular models. The 500X earned the Insurance Institute for Highway Safety (IIHS) Top Safety Pick+ rating for 2016. Top Safety Pick+ is the highest rating given by the IIHS, and the 500X was the only car in its class to awarded that rating in 2015. 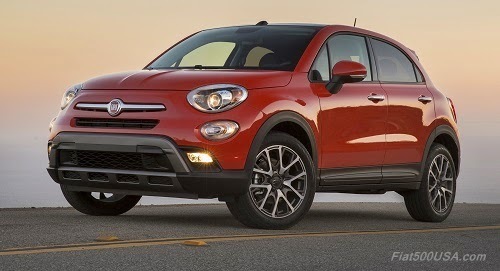 There were 609 Fiat 500X crossovers sold in Canada in 2015. Mexico is just launching sales of the 500X this month and has already sold 79 units. Fiat recorded its best December sales figures ever, beating last year's previous record December sales by 1 percent. December sales were also up 26 percent compare to the previous month of November. This coming year promises to be an exciting one for car enthusiasts. The new 124 Spider will be hitting Fiat Studios this summer and look for news on the limited production 124 Spider Prima Edizione as we get closer. There may even be a performance model of the 500X to spice things up. Select Fiat Studios that are Alfa Romeo dealers will also be getting the new Giulia Quadrifoglio sedan later this year. A Fiat Studio is going to be the place to be for car lovers this year. *Fiat Mexico sells other models besides the 500. Fiat Mexico sales were 9,362 units, an 18 percent increase over 2014. **Quattroruote Magazine from January 2012.